Funny story. Sometime last month I happened to be studying next to a group of very excitable medical students. In the middle of eavesdropping on their conversation, I overheard one person saying that she had changed Siri’s settings to Japanese and that she had instructed it to address her as hime-sama. I almost cried trying not to laugh. First beta launched with the Apple iPhone 4S back in 2011, Siri is the “intelligent personal assistant” component Apple’s iOS. In all honesty, I don’t really use Siri. I think some time right after I got my iPhone 5 like a year ago, when I was feeling particularly existential, I think I told Siri that “I’m lonely” and she replied back with something surprisingly poignant for an AI device. And then I disabled her. Out of curiosity, I launched Siri in Korean. Spoke a few, really simple, beginner-level sentences. 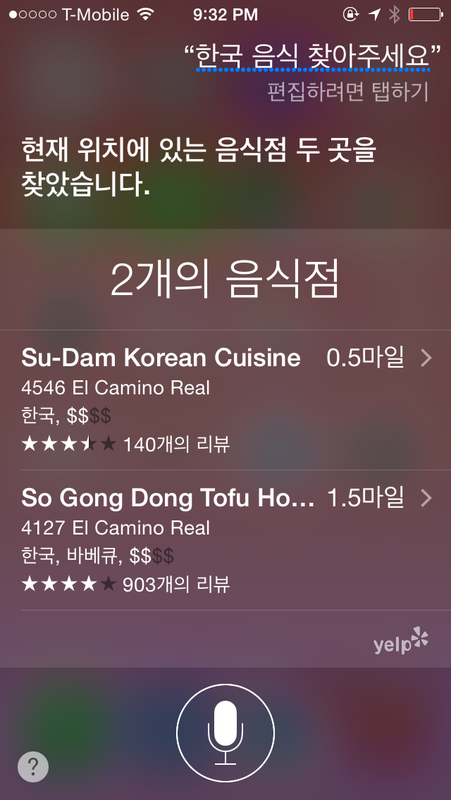 The cool thing is you can actually also see the Hangeul transcript of what Siri thinks you said! 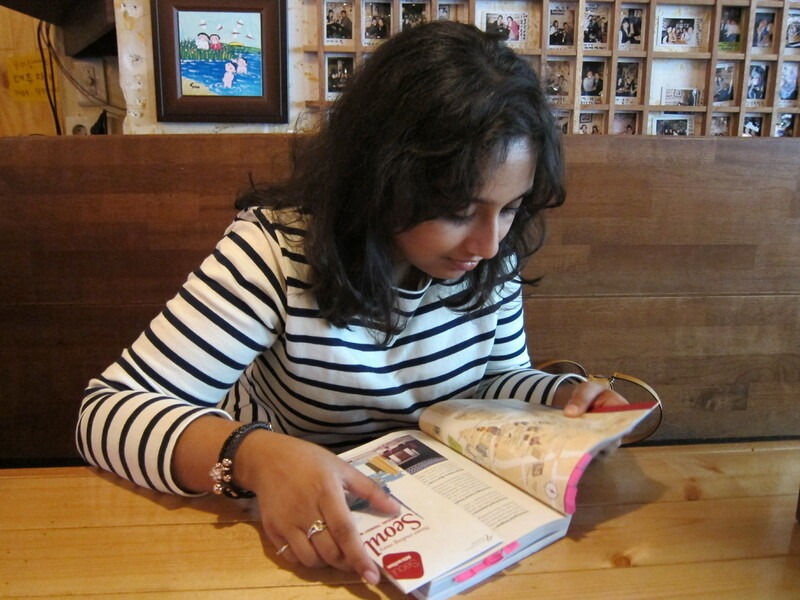 Now, when I went to Korea, I was pretty successful at getting around speaking in Korean with tons of people. But I’ve always kind of wondered – am I glotallizing/aspirating my consonants correctly? Can I properly differentiate 어 and 오 when I’m speaking? Is my intonation right? Well, according to Korean Siri – I AM TOTALLY UNDERSTANDABLE! I could be completely wrong about this because I know nothing about speech recognition technology (much less what was actually used for developing Siri), but it seems to me that it would be much more difficult for a computer to “understand” what you are saying versus a human. Because computers have to convert analog sound waves (speech) to digital data, what I think happens when you royally mess up the pronunciation of a word is the computer recognizes wrong phonemes and then outputs wrong corresponding text. So! Getting Siri to actually “understand” my Korean speech, transcribe it correctly, AND execute my commands was a huge personal achievement. I haven’t experimented with whether Siri responds appropriately to both 반말 and 존댓말 but I figured it doesn’t ever hurt to be too polite. I did this too with both Siri and the google voice option on Android–it was super fun and exciting (and such a confidence-booster) to see that I /was/ understandable–at least in voice recognition standards!